It’s all well and good to gaze longingly at pictures of perfect rooms in interiors magazines or on Pinterest and begin mentally redesigning your own spaces. But where’s their ‘stuff’? 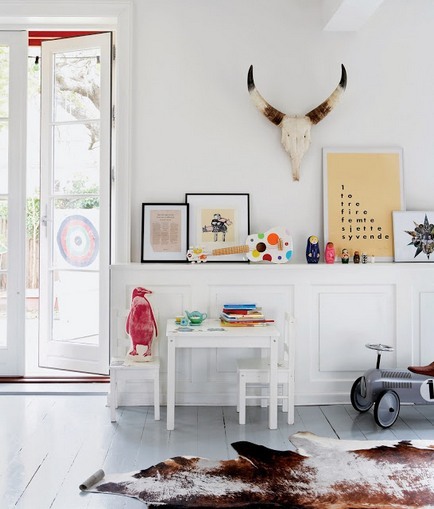 You know the stuff I’m talking about – the same stuff that’s generally absent from ‘perfect’ homes – hallways crowded with a jumble of coats, hats, bags and shoes; kids’ artwork displayed haphazardly on walls; and stacks of papers on desks and tables. 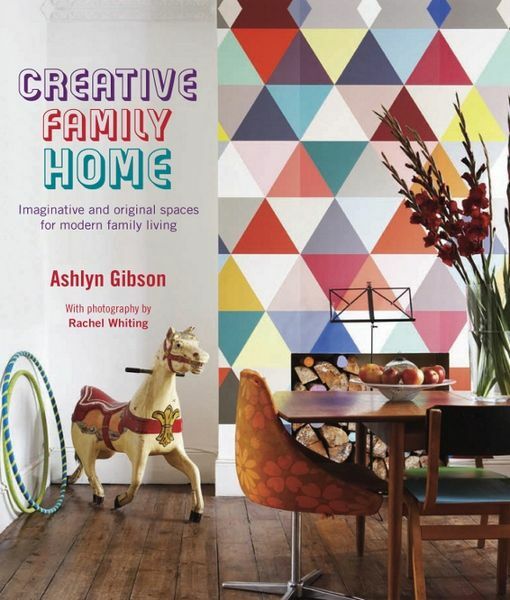 Stylist Ashlyn Gibson has put together a gorgeous book, Creative Family Home, which documents her fresh and imaginative approach to interior design. Along with photographer Rachel Whiting, Gibson visited twelve unique homes across Europe, including family abodes in England, Spain, Denmark, Holland and Germany. The common element? 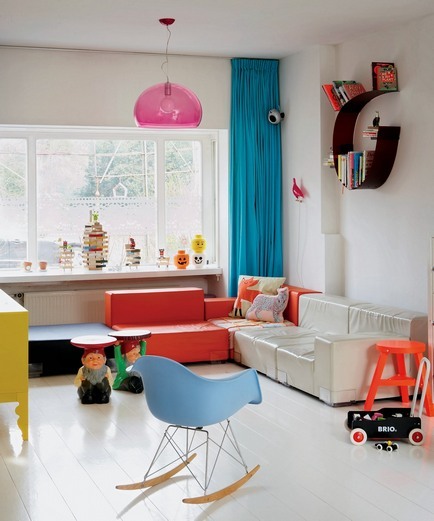 Each home showcases spaces that work for the whole family (including all their ‘stuff’!). 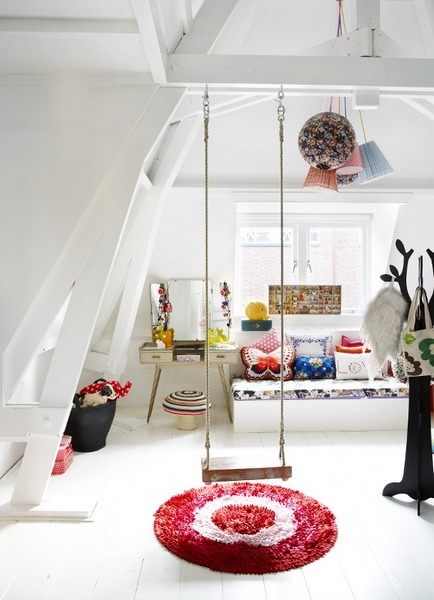 In fact, Gibson’s design philosophy has a refreshing focus on family – for her, it’s imperative that the design and feel of a home is shaped as much by the children that live there as the grown-ups. The first section of the book includes some broad guidelines for developing your own family style, ranging from using space imaginatively and designating areas for homework and creative zones to superb ideas for using prints and patterns – Gibson’s old wooden print box transformed with remnants of retro wallpaper is a thing of beauty (I’m filing that idea under ‘I’m terribly jealous and now I’ll be scouring flea markets for a print box’). 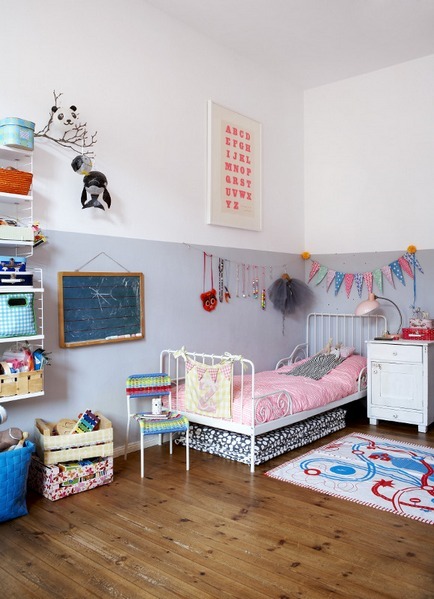 Equally, the storage unit in the boy’s bedroom shown below is personalised with a découpage of comic-book pages. 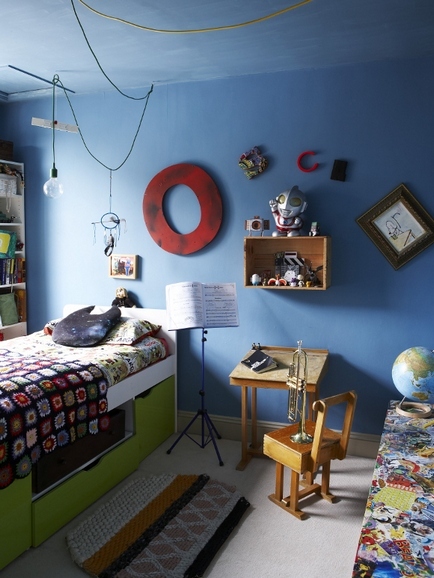 Each of the homes included in the book are packed with colour, patterns and one-off finds. 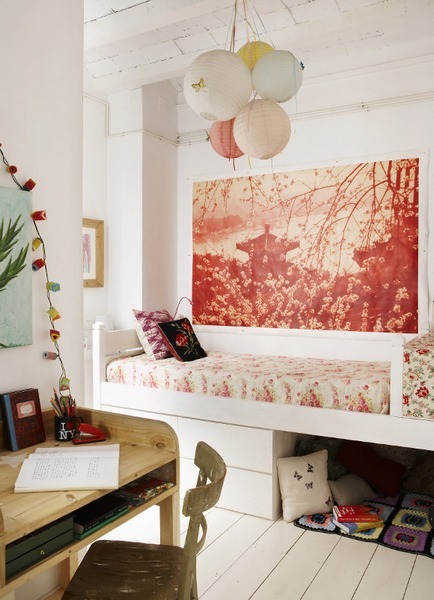 Notably, there are plenty of ideas for you to pinch for your own place – whether it be ways to display a collection, using washi tape as an instant and colourful picture frame or finding ways for a single piece of furniture to be put to multiple uses (for example, the lamp-shade that houses a badge collection). There’s lots of information in this book (thankfully Gibson doesn’t keep secrets) but it’s the photographs that you’ll come back to again and again – a close look reveals delightful details, whether it be the dishwasher that’s also a ‘plate gobbling monster’, indoor swings or an eclectic collection of cushions or light shades – there’s a lot to love. 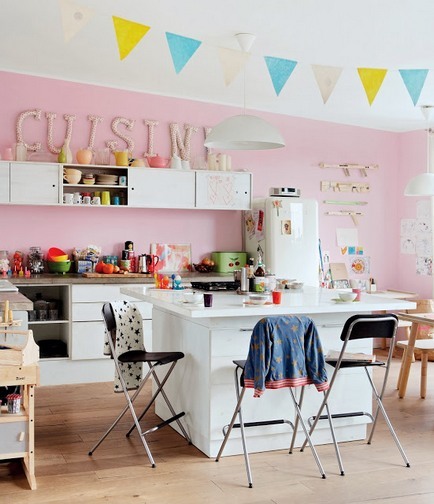 Find Creative Family Home on Book Depository, which delivers free to Australia.